Get a Grip on Playtime™ in The Hundred Acre Wood with Disney Baby’s Winnie the Pooh & Friends Go Grippers Collection from Oball™. The Pooh & Tigger duo features the signature Oball™ design that makes it more fun to pick up and easy for even the youngest, most inexperienced fingers to grasp. And don't let these cute cars fool you - these easy-to-grip cars are rugged and virtually indestructible. 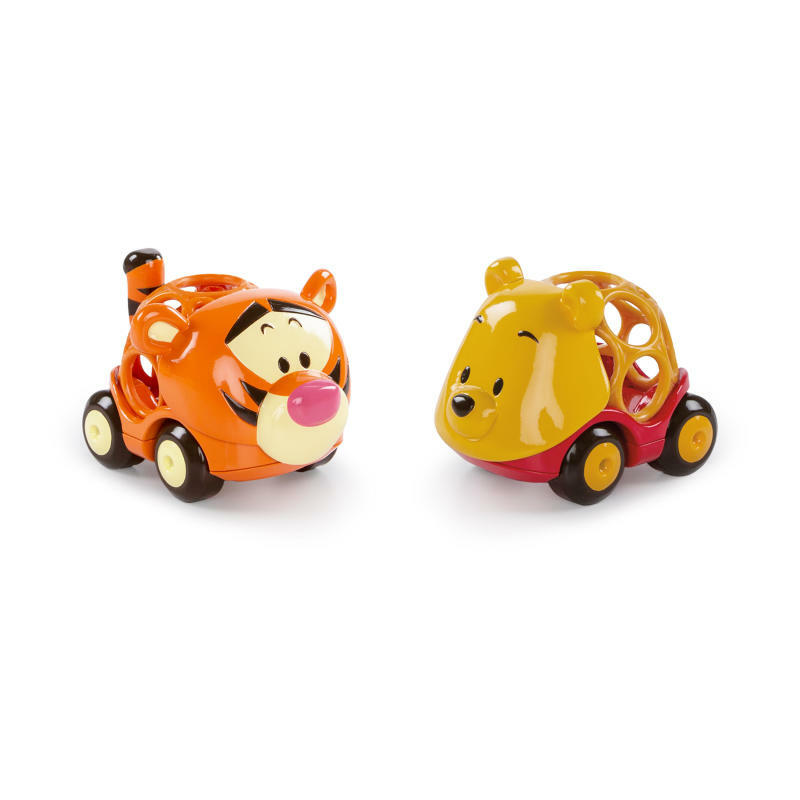 These Pooh-themed cars roll easily and interact with most Oball Go Grippers™ toys. Great for on the go and inspiring more imaginative play times. Your baby will love getting their hands on their very first car! Be sure to complete your Disney Baby™ Go Grippers™ collection with the Mickey Mouse & Friends Go Grippers and the Monsters Inc. Go Grippers Collection. Recommended for ages 12 months and up. Easy-to-grasp signature Oball™ design makes these cars easy for little fingers to pick up and play! Includes Pooh & Tigger. Collect all 6 fun Disney characters! Mickey, Minnie, Pooh, Tigger, Sully, & Mike. Cars roll easily and interact with most Oball Go Grippers™ toys and play sets. These Disney themed cars are rugged and ready for playtime! Dimension (in) 3.62" x 2.62" x 2.6"